This dessert, like my ICE IN PARADISE, is super easy, and requires only 4 ingredients. 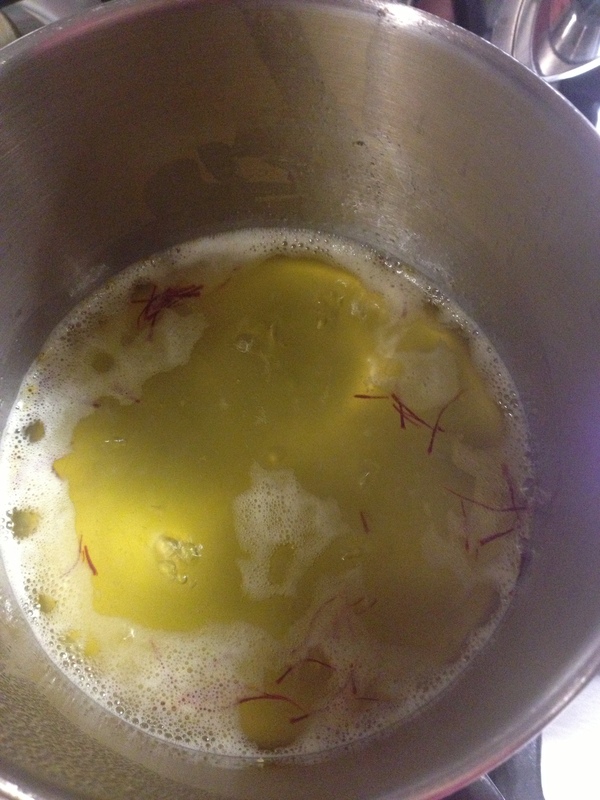 Using saffron, in my opinion, makes it a very elegant dessert too. 1. Pick a pan in which the pears just fit. 2. 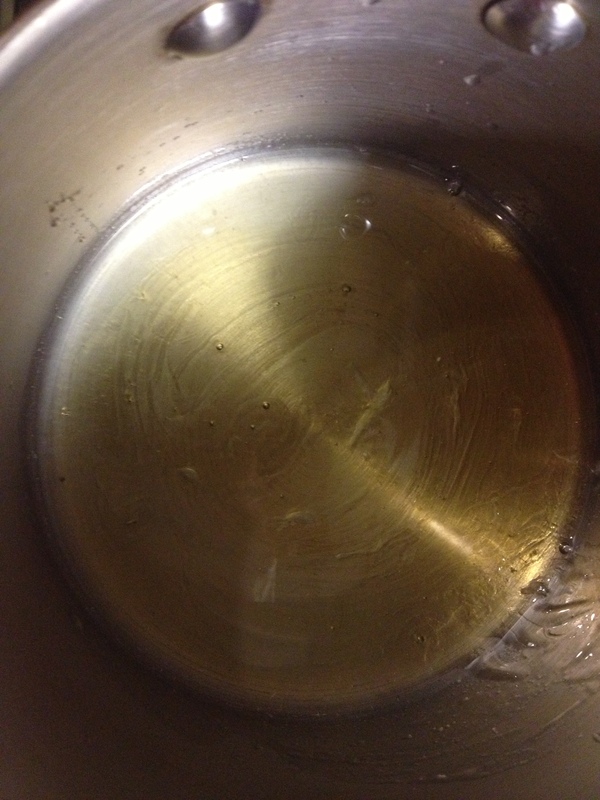 Heat the honey with lemon juice in the pan until the lemon juice has dissolved. 3. 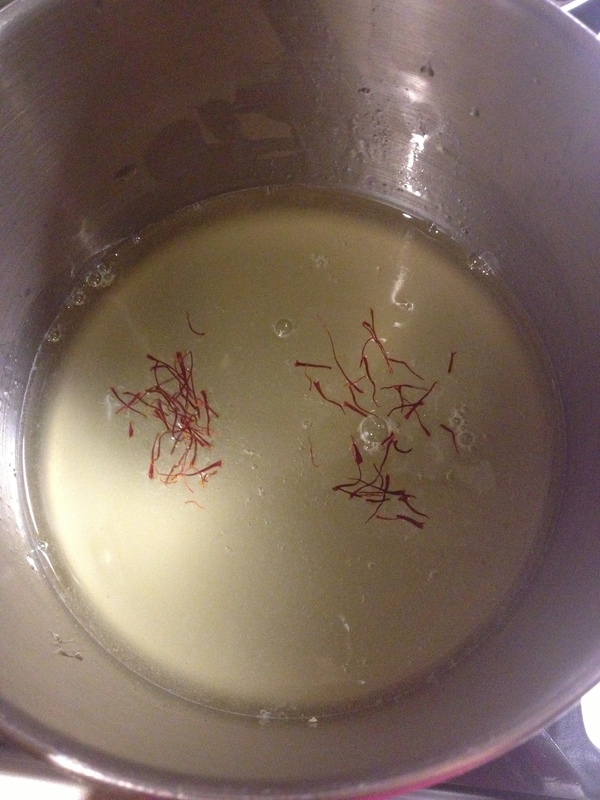 Add water and saffron, stir and bring to boil. 4. Reduce the heat and simmer for 5 minutes. 5. Meanwhile, peel the pears, leaving the stems on. 6. Add them to the pan, making sure the are as much immersed in the liquid as possible. 7. 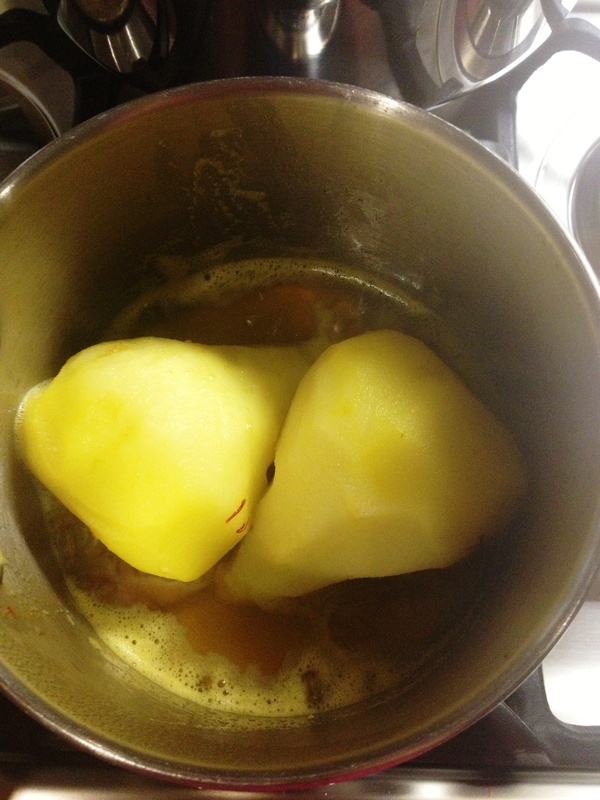 Simmer for 20 minutes, while basting and turning the pears every few minutes. 8. Let cool in the pan. I like to serve them cool, after they have been in the fridge for a few hours, but you can also serve them at room temperature. NOTE 1: This dessert is sweet and sour. If you prefer it to be completely sweet, just omit the lemon juice. 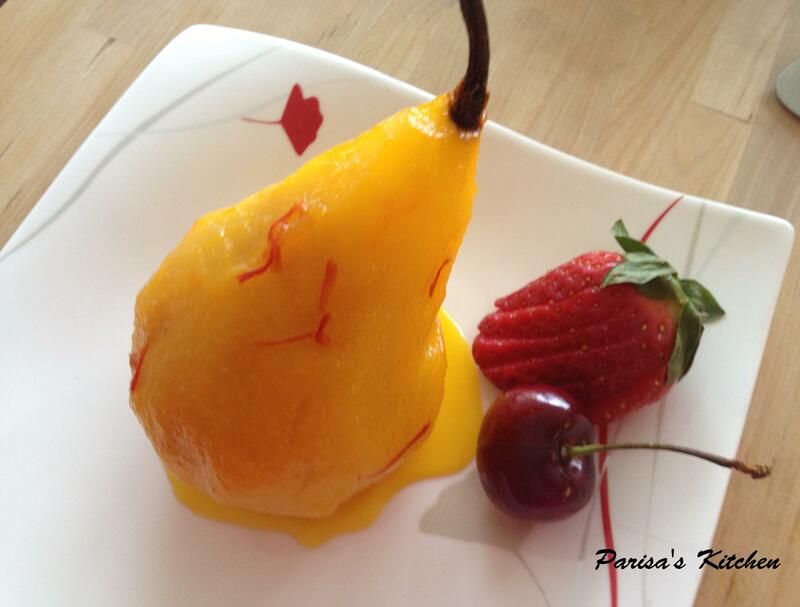 Posted in Dessert, InternationalTagged easy, healthy, pear, poached pear, recipe, saffronBookmark the permalink. Ice in Paradise is yummy:) Glad to see ur blog. I tried it at your house. It was fabulous. You can cut the pear the same as the strawberry in a round way and press it to the plate a little bit to make it lie down on the plate beside its companions. However, yours has more varieties in shapes. I’m very in love of this dish,my compliment!! 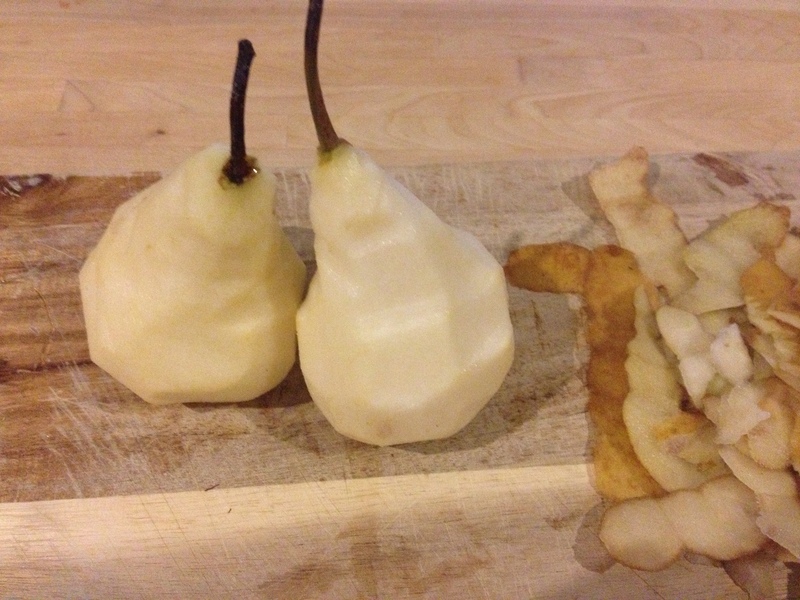 Pingback: Poaching pears | Pho What? The like button is not working for me. I think I have to log out and try again. 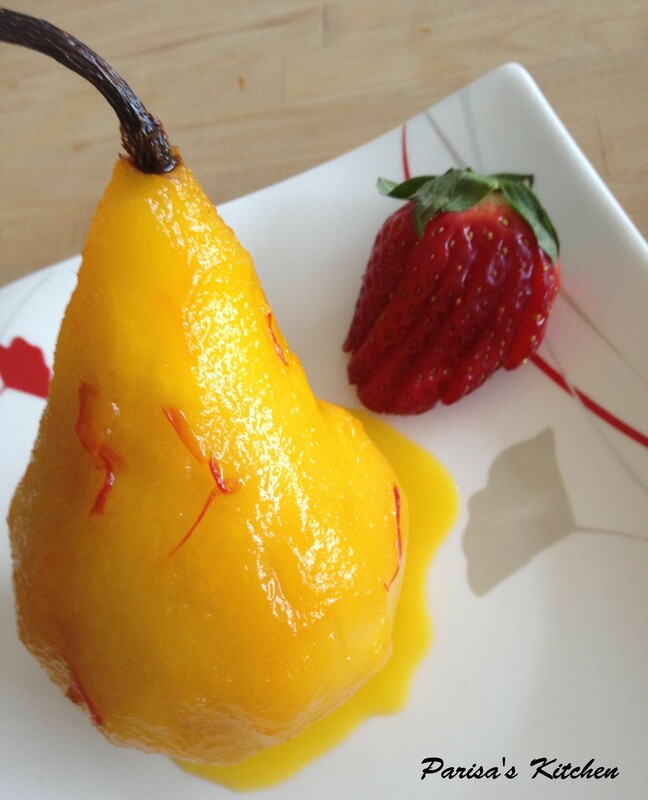 Meanwhile I love this poached pear with saffron. It looks so delicious. 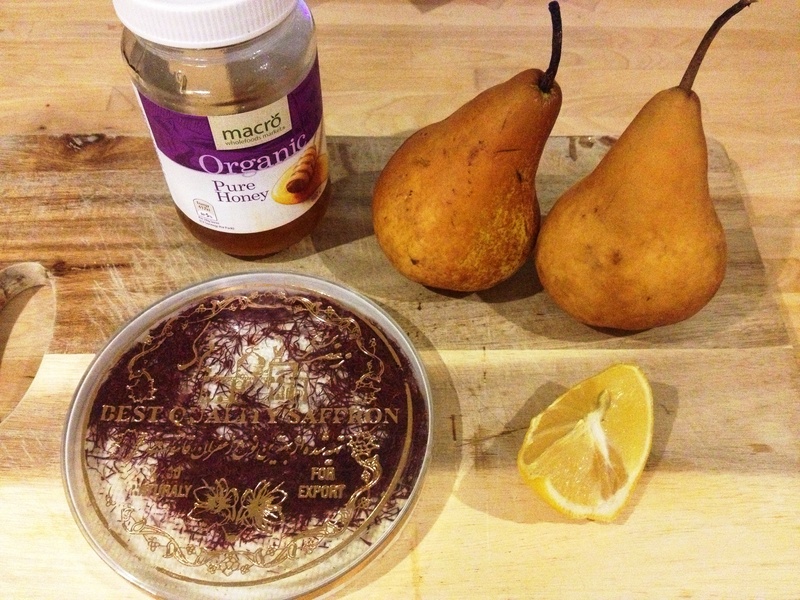 It’s high time I poached some pears too. Thank you for posting this and enjoy the rest of your week! The like button worked today, ha ha. Have a great time! Just in time for pear season! Yes, I love pears! And poaching them makes them so soft and delicious! Thanks for dropping by! Hope you come back 🙂 have a lovely day!